A large part of Husserl's philosophical work bears on the investigation, description and analysis of the life of consciousness, of its various forms and contexts. Hence, it is a non-experimental, reflective investigation of consciousness. As Husserl says, consciousness is an autonomous field of being, a field of investigation and work; he even speaks of it metaphorically as a land, and because of the immense complexity of the structures of consciousness, he speaks of it as a jungle. One is in need of great effort and thousands of points of reference in order to clearly distinguish the phenomena in this jungle and to grasp them in their essential determinations and their manifold and tangled connections. Husserl sees this with a truly impressive acuity. He recorded the results of his investigative journey into the innermost reaches of consciousness in thousands of manuscript pages. Melle, U. (1997)., Husserl's phenomenology of willing, in L. Embree (ed. 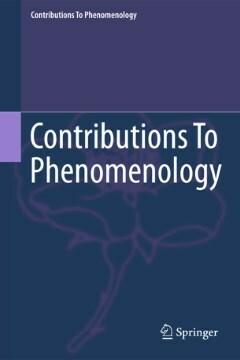 ), Phenomenology of values and valuing, Dordrecht, Springer, pp. 169-192.